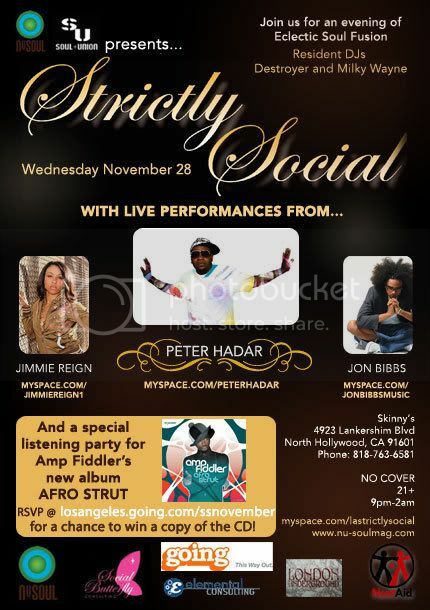 Nu-soul Magazine presents another edition of Strictly Social on Wednesday November 28. 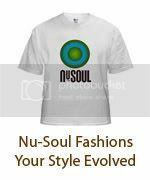 Join us for a night of eclectic soul fusion at the beautiful Skinny's Lounge in North Hollywood. Come early for a special listening party for Amp Fiddler's new album Afro Strut! RSVP NOW at Going.com for your chance to win a copy! Musical cocktails are always provided by our residents DJs Milky Wayne & Destroyer.